The temperature is falling fast, is your Tripawd ready? Warm up now with FREE Priority Mail Shipping on Ruffwear gear like the Cloud Chaser™, Climate Changer™ and Overcoat™ dog jackets! 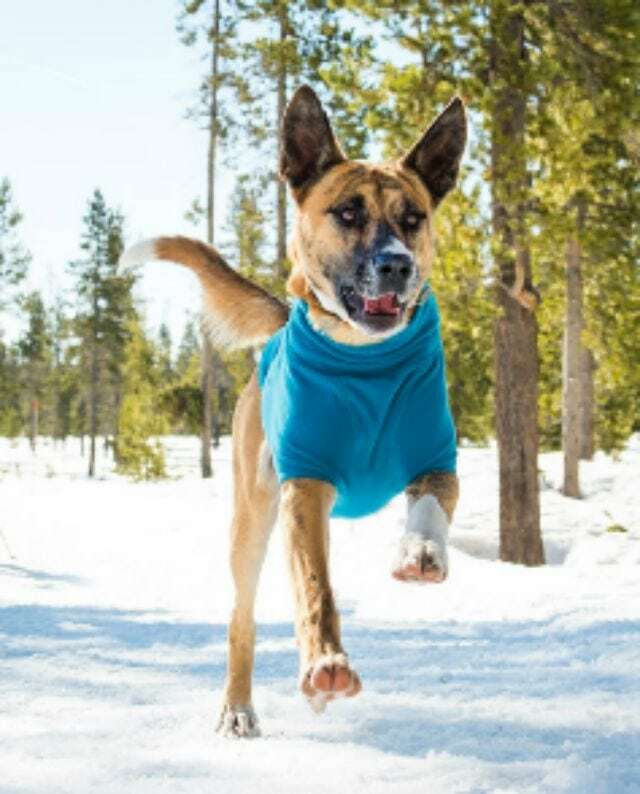 Ruffwear gear keeps Tripawds warm in winter. 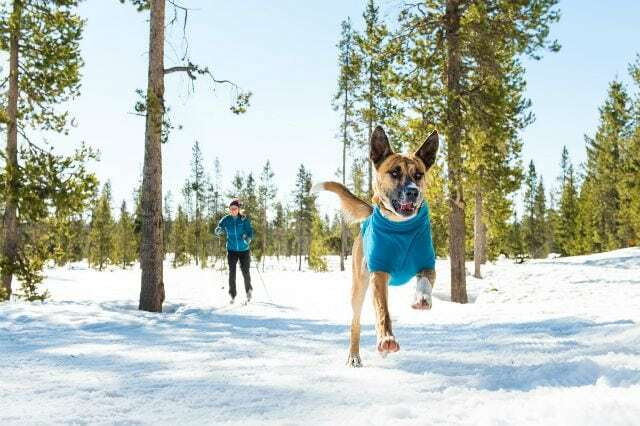 There’s no need to worry about wind, rain, sleet or snow with our favorite Tripawd dog jackets from Ruffwear! From now on, our favorite cold weather protection for dogs ships with free USPS Priority Mail Shipping. Your pup can have new gear in 1 to 3 days* at no extra charge. Whether your dog is missing a front or rear leg, Ruffwear’s dog jackets are the most well-fitting apparel on the market for our three-legged heroes. Although not specifically made for Tripawds, this Ruffwear gear has a great fit for canine amputees. If you have a front-leg Tripawd, simply sew up the leg hole where your dog’s limb is missing. It’s that easy! *In most cases, the expected delivery date printed on your receipt or provided at checkout will reflect a delivery time of 1, 2, or 3 business days and is based on origin, destination, and drop-off time. The expected delivery date does not come with a money-back guarantee. Wyatt models the Cloud Chaser jacket. 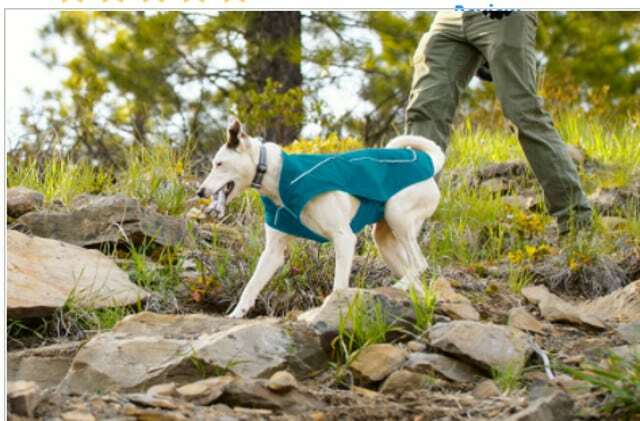 The Climate Changer jacket works for three or four legged dogs! 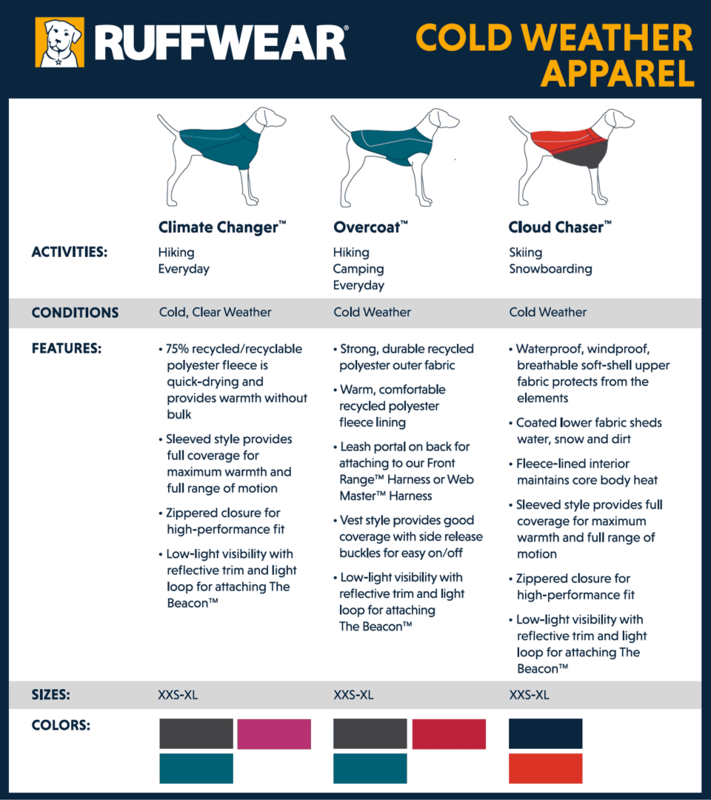 The Ruffwear Climate Changer is a versatile and cozy fleece jacket that is ideal for keeping dogs warm on crisp, cool days. Recycled polyester fleece provides quick-drying warmth for everyday adventures. 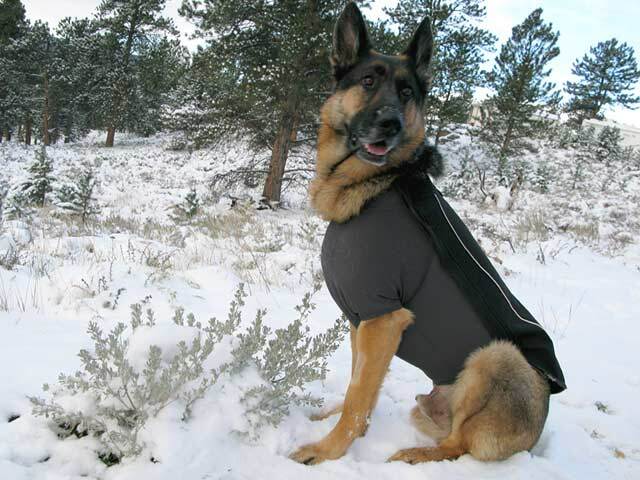 This fleece jacket can be worn alone, or layered underneath other Ruffwear coats for additional warmth. This “Sleeved” style jacket provides full coverage for maximum warmth. A convenient zipper on the left side of the jacket allows for a high-performance fit. Four or three legs doesn’t matter with the Ruffwear Overcoat jacket. A classic cold-weather utility jacket. This vest-style jacket is built with sturdy, durable materials to keep up with the most active dog. Wind- and water-resistant outer fabric protects against harsh elements, while interior recycled polyester fleece lining keeps body heat in. Auto-lock buckles on each side provide easy on/off, and a leash portal allows the Overcoat to be worn over the Front Range Harness™ for extra small dogs or the Web Master Harness™ for bigger pups. Click to view larger in new tab.